This particular department of the Regional History museum was established in 1985. 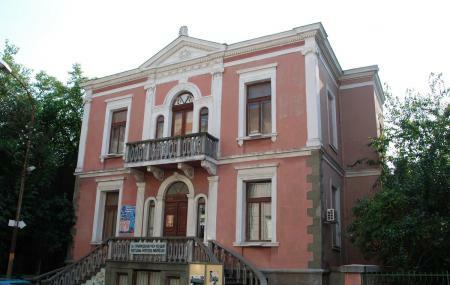 The exhibitions of the museum focus on the natural hheritage of the Burgas region. There are three floors, each of which contain thematically specialised exhibits. These include: Minerals, Vegetation, Reptiles and Amphibians, Insects, Birds, and Mammals. A final section, ‘New Settlers’, focuses on the migrant species that are exotic to the region. Like the other regional museums, it’s best to have a local who can understand the written info, which is unfortunately written in Cyrillic or Bulgarian. Check out the museum store. Free: Students (individuals up to 8 people): every Monday from 10am-4pm; 3rd of March - National holiday, 18t of May - International Night at the Museum, 6th of December - Day of Burgas. Prices may be combined with visits to multiple departments of the Regional Museum as follows: visit 2 museums for 6,00 BGN; visit 3 museums for 8,00 BGN; visit 4 museums for 10,00 BGN. Sunday and Monday: Closed, except by request. Buses 1, 2, 4, 12, 211 stop Onepa. Love this? Explore the entire list of places to visit in Burgas before you plan your trip. Fancy a good night's sleep after a tiring day? Check out where to stay in Burgas and book an accommodation of your choice. How popular is Natural History Museum? People normally club together Sea Garden and Burgas Archaeological Museum while planning their visit to Natural History Museum.